Includes access to 5 lectures, 60-question exam with answers, and a detailed slide deck to make you an asthma expert! Categories: Courses, Print Study Guides. Tags: AE-C, NAECB. This book is essentially printed slides from the electronic version which may only be purchased on rxpharmacist.com. We highly recommend to get the online course version as we pass the savings directly to you! Guide has been updated for the 2019-2020 year. The book is essentially in a slide deck style format created by an instructor that took the exam and is AE-C certified! The NAECB exam is a challenging test with consistently low passing rates every year, from what NAECB has published recently the 2017 passing rate was 64%! In addition, you will gain free access to five lectures associated with this content to help you get that instructor face-to-face touch in the convenience of your own home and on your own time. 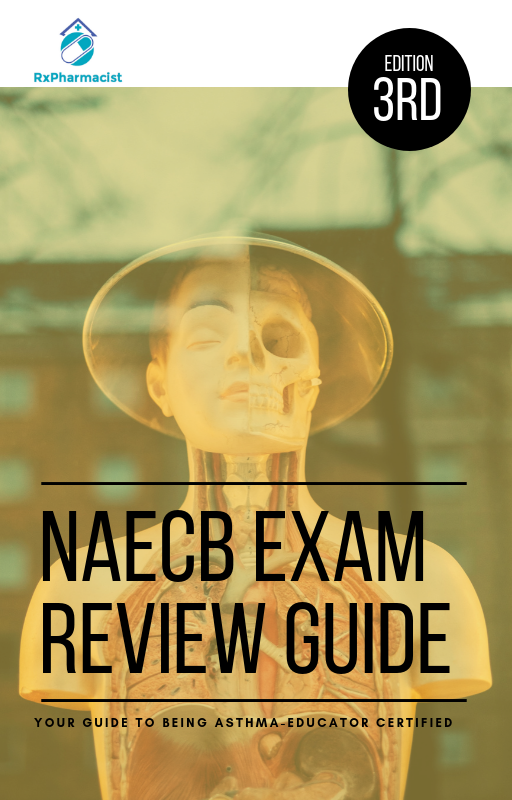 Ace your NAECB exam with a 60-question practice exam, also included in this guide, to test your knowledge.